Regular visitors to this blog will have noticed that I have been enjoying the exhibition The Indiscipline of Painting, International Abstraction from 1960 to now, that started out at Tate St Ives late in 2011 and moved to Mead Gallery, Warwick Arts Centre, in January 2012. Well, today is the final day of the show and bidding it farewell seems an opportune moment to reflect on what I got from visiting it many times. 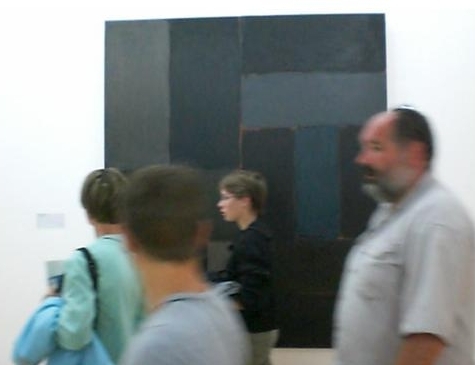 The early Sean Scully painting East Coast Light 2, was a surprise to me. I like Scully’s work. especially the Wall of Light series, and that the earlier paintings look so very different to the more recent ones was more of a surprise than I expected. I was surprised by the surprise. I had read in Scully’s book Resistance and Persistence that this early work was “frankly illusionistic” and I saw a photograph of East Coast Light 2 in that book. But seeing it for real it is frankly illusionistic! much more so than in the reproduction. Seeing it here opposite the Bridget Riley Painting Cantus Firmus was interesting, as there are obvious connections and also differences. The space in the Scully is illusionistic in that it it opens up “inside” the painting, whereas Riley’s space is “outside”, between painting and viewer. Sean Scully, East Coast Light 2, 1973, Courtesy of the artist and Neo Neo Inc.
Just down from the Scully, Karin Davie‘s lovely painting is highly gestural and though there is space “inside” or “behind” and “through” the gestural line, it is less illusionistic, much shallower than in East Light 2. 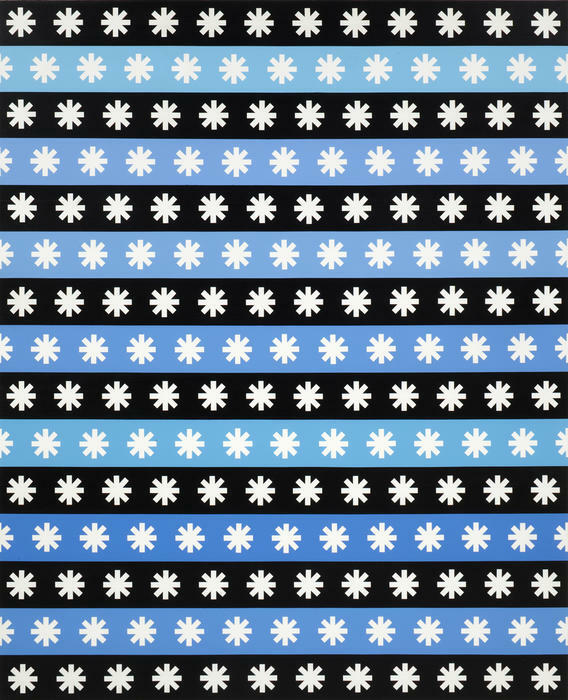 Richard Kirwan‘s painting Depth of Field seems also to be about what we might call “optical space”, a magnificent painting of the simplest motif repeated many times: an asterisk, possibly a reference to text and therefore to language and sign. Is our attention being brought to multiple footnotes? One of the experiences I have whilst viewing this, and many other paintings in this exhibition is the pure pleasure of seeing. Then my internal dialogue kicks in asking what it is that provokes that pleasure, seeking to ‘unpack’ it intellectually, to follow-up on the “footnotes”. So I read the catalogue, finding out more about the works and the patterns that connect them. At the gallery talk last Saturday with Bob Nickas and Alison Green (both who write in the catalogue), Alison Green commented on the many “back stories” of these paintings suggesting that the pleasure of looking at art includes learning those stories, and that it is not a solely visual experience. I think she is right about that, even though looking without knowing is immensely pleasurable. There seems something very playful about being amazed at how the asterisks seem to rotate. When you have seen the painting before you know it is going to happen but you are still thrilled by it when it does! No Other Home by Daniel Sturgis, the artist who selected the work for this show, has a similar optical buzz, only more so. As I look, I notice my breathing change, almost a sigh, that seems to signal a change of state. Exhaling, my shoulders relax and I ‘take in’ the painting, puzzled by its structure and almost laughing when those chequer patterns seem to dance. Then I get fascinated by the blue discs, and getting up close I just cannot tell whether, for example, the disc on the right looking like it is balanced dangerously close to a cliff edge, and the other one slightly further in (almost immediately left), are the same physical colour, the surrounding colours making them look quite different to each other, or whether in fact they are mixed as different colours. However many times I step nearer and further away from the painting I am unable to verify which it is, though I suspect the former (and later, asking the artist, he confirms it). At the gallery talk Bob Nickas likened abstract painting to the Hitchcock film The Trouble With Harry, about a dead body that is discovered, hidden, buried, dug up and rediscovered etc, the trouble being that it just “won’t stay dead”. Painting, and specifically abstraction, have been pronounced dead umpteen times but the discipline (or rather the indiscipline, its status being highly contingent) just won’t stay dead. This show, with 49 artists represented, gives me 49 reasons to continue making abstract paintings, or I learn 49 ways to do abstract painting now that it is dead, or I get to see 49 responses to what to do with abstract painting since its demise: possibly three ways of saying the same thing. Sarah Shalgosky, Curator, University of Warwick, in her guided tour of this exhibition suggested that it was a “walk through the mind of Daniel Sturgis” and she also said that in bringing these works together they wanted us to have “visual fun”. Judging from the numerous conversations I have had with people at the gallery since the opening night, I am sure that I am not the only one for whom this goal was amply met. 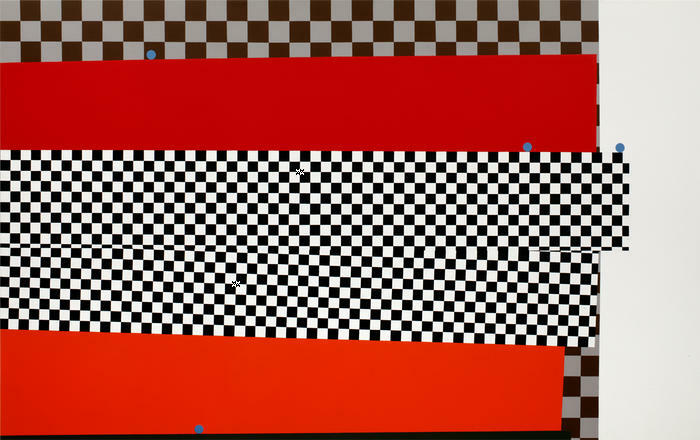 This link shows the Mondrian on view at The Hepworth,Wakefield: Composition C (No.III) with Red, Yellow and Blue 1935. I am making studies of it. It is nearly square. 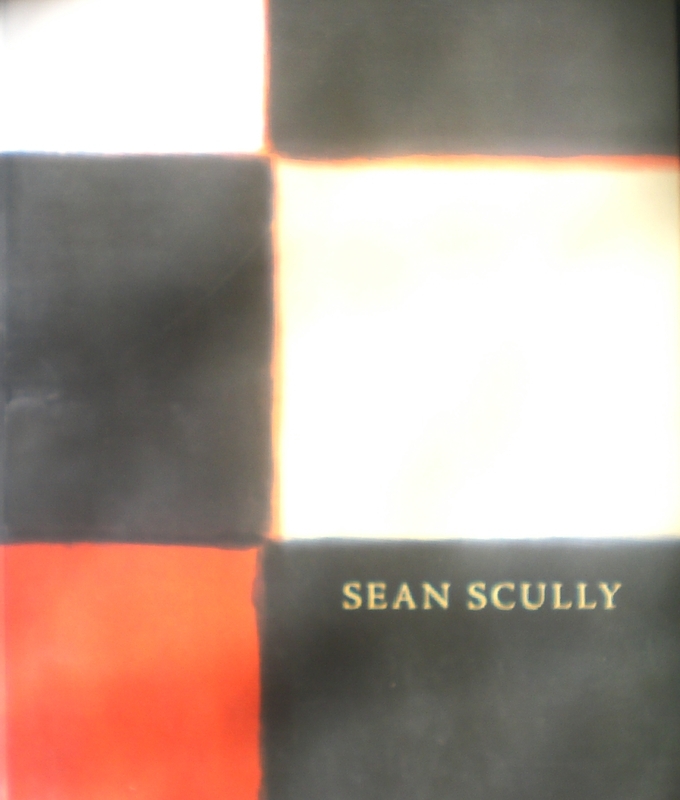 Sean Scully says somewhere that if you have Mondrian, Matisse and Rothko, then you have his (Scully’s) work, and he also says that its impossible to get to the artist’s touch in Mondrian (that’s how I remember what he said anyway, what I have forgotten is where I read it). If that’s what he said he certainly has a point. However, there is something of Mondrian’s touch in the paintings. Though it never approaches gesture, I do get a sense of the numerous re-workings. In Scully’s paintings you can clearly see lots of layers of under-painting, whereas in Mondrian you discern them. Don’t you also get a strong sense of the thinking process of making the work, the creative tension between thinking and doing? Thinking of Sean Scully as I have been doing recently, I was remembering the exhibition of paintings and works on paper at Abbot Hall Art Gallery, Kendal in 2005. Was it really that long ago? Visiting it was my birthday treat that year, and I took the trip up a few times during the three months it was open. 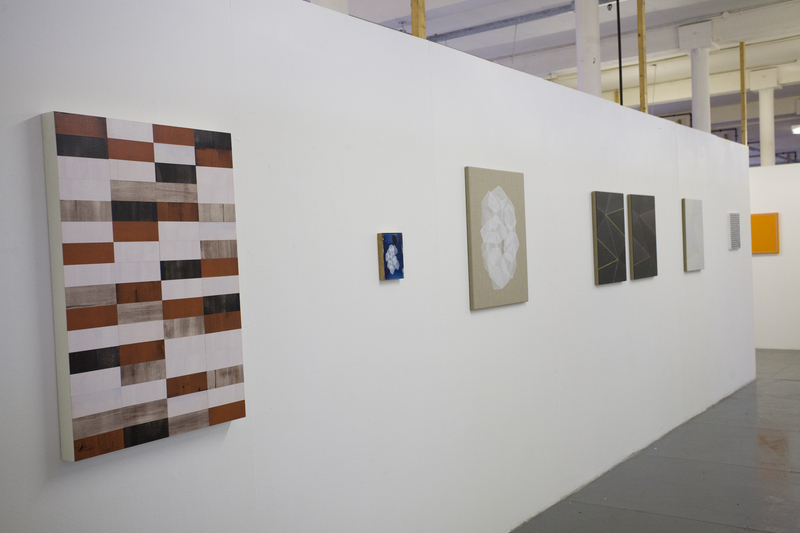 I liked that there were so many pieces of work (there were 23 in all) in a relatively small space. It was possible to get to know them over a period of time and to see how they related to each other. Although we wouldn’t think of Scully as a systems artist, the fact that he works in series means that you do see relationships between works very clearly and that the work becomes more than each individual painting. 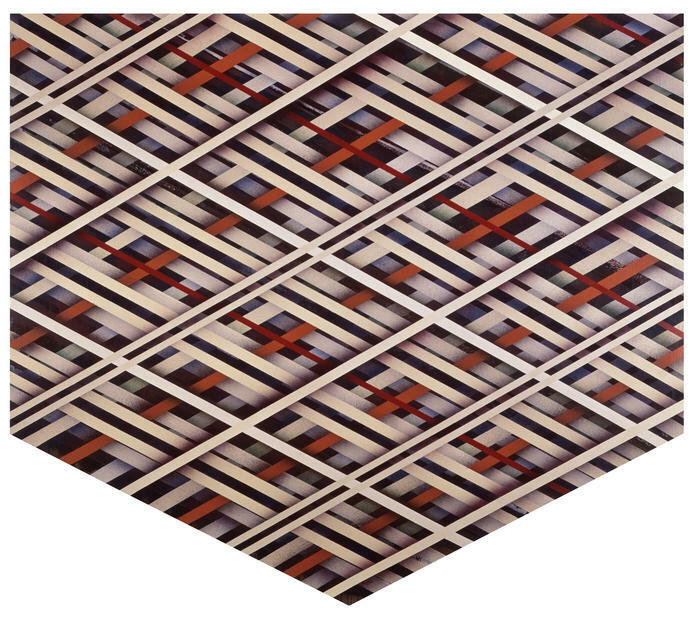 If I have a favourite artist it is Sean Scully. I remember once visiting Tate Modern with a friend, and in the time it took him to see everything in there I had viewed only the three Scullys that were on show. I was literally mesmerised by them. For me, the type of naturally occurring trance state, or reverie, that Franz Anton Mesmer (re)discovered is just the kind of experience provoked by many of Scully’s paintings. Whilst in some ways all aesthetic experience comes into the category of naturally occurring trance, (or if you prefer ‘flow’ state), the work by Sean Scully seems particularly to put me there. You could imagine that a gallery might be a good place to find time for contemplation. 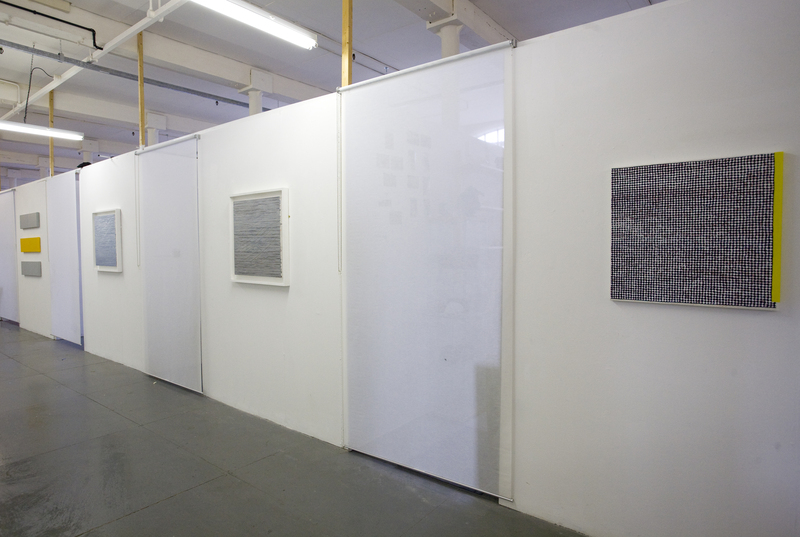 .. unless it is such a gigantic space that walking past the art becomes the norm. Surely he is right about abstraction, it does require contemplation and time, and isn’t it also the case that it rewards the time and contemplation given to it. That is certainly my experience with Scully’s paintings, even the early, minimalist-leaning work. In Turps Banana, the interview is supplemented by some excellent reproductions, all of early work. I have come to like the more recent Wall of Light series (like the one in my photograph above, taken at Centre Pompidou) so much that I had forgotten how powerful some of the early works are. 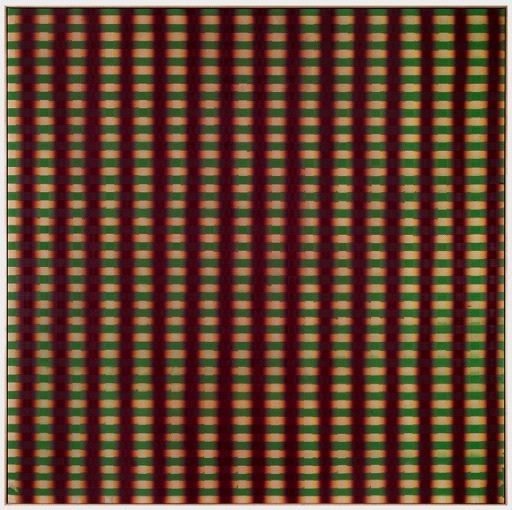 Soft Ending 1969, for example, seems to have an opticality that is understated or resisted in the later work. The development of Scully’s oeuvre could be read as an increasing emphasis on the physicality and objecthood of painting. Of course that physicality includes the optical much as it could also be seen as a container for the spiritual. Scully talks a lot about the spiritual in art, but I don’t remember him defining what he means by it. What he says in Turps Banana about contemplation and time possibly hints at a way of viewing that approaches spirituality in the sense of meditation. The new issue of Turps Banana also includes interviews with, or articles about painters such as, Tomma Abts, Christopher P. Wood, Che Lovelace, Gavin Lockheart, René Daniëls and Rose Wylie. 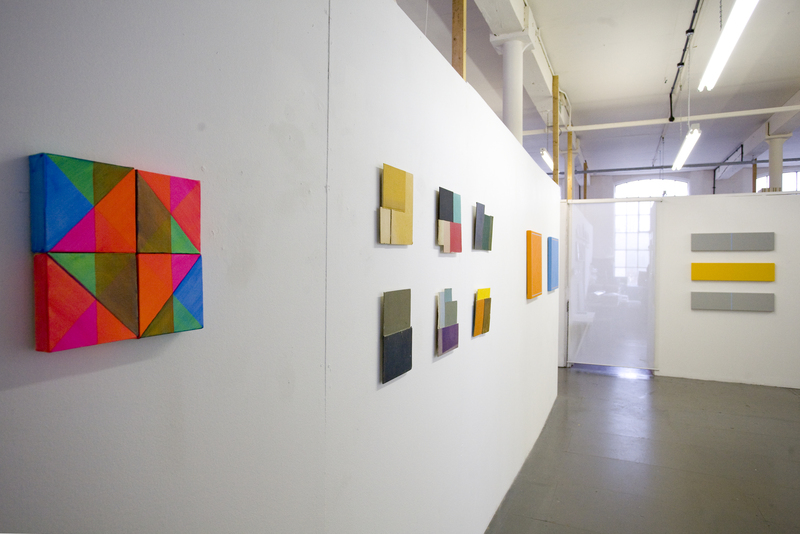 Check out this post at Abstraction Blog with some good photos of three new Scully paintings at his current show at Kerlin Gallery, Dublin, and a link to itunes where you can download Turps Banana. Abstraction Blog posted about a new exhibition at Tate St Ives: The Indiscipline of Painting, subtitled International Abstraction from the 1960s to Now. At last! 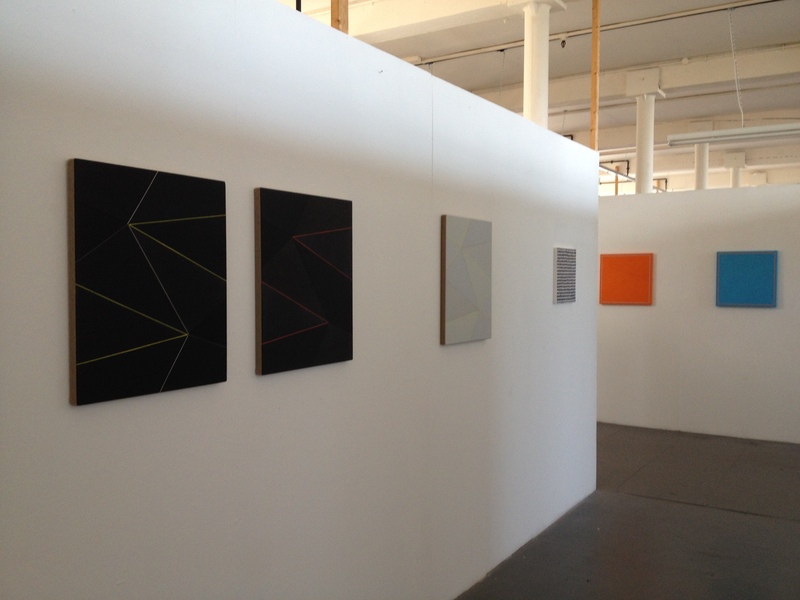 A big show of abstract painting, and it’s outside London too. It opened yesterday and continues until 3 January 2012, bringing together paintings by British, American and European artists, made during the last fifty years. I am even more delighted to discover that this project is a collaboration between Tate St Ives and Mead Gallery, Warwick Arts Centre, and that when it has closed at Tate St Ives it will travel to the Mead Gallery and show between 14 January and 10 March 2012. Coventry Arts Centre is near where I live (no matter that every time I have attempted to visit this year it has been closed). I can go see it in St Ives and then visit regularly from January to March. 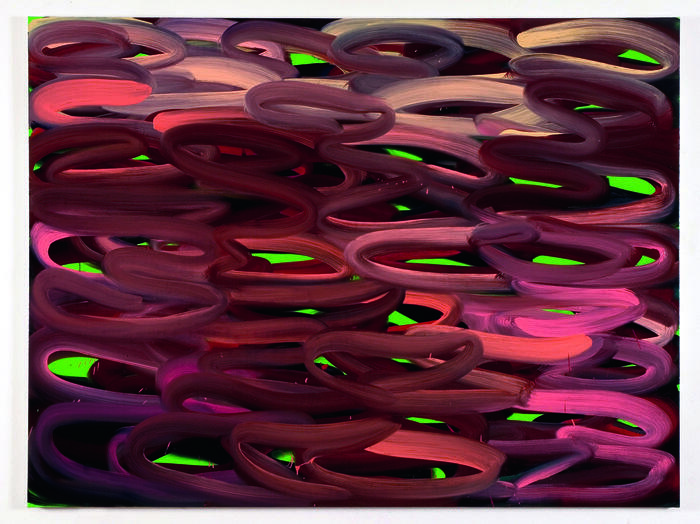 Of the 49 painters included in the show I am particularly looking forward to seeing work by Tomma Abts ; John M. Armleder, Daniel Buren, Mary Heilmann, Blinky Palermo, Bridget Riley, Robert Ryman, Sean Scully, Frank Stella, Myron Stout and Dan Walsh. 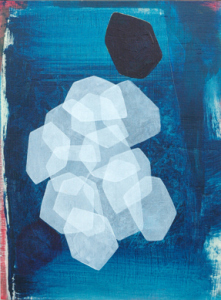 The contemporary position of abstract painting is problematic. It can be seen to be synonymous with a modernist moment that has long since passed, and an ideology which led the medium to stagnate in self-reflexivity and ideas of historical progression. The Indiscipline of Painting challenges such assumptions. It reveals how painting’s modernist histories, languages and positions have continued to provoke ongoing dialogues with contemporary practitioners, even as painting’s decline and death has been routinely and erroneously declared. Painting is dead. Long live painting!